Overlooking the Mosel River and located about halfway between Frankfurt and Aachen, the original 11th century castle was burned down by invading French troops in 1689. However, it was rebuilt in the neo-Gothic style by Berlin businessman Louis Ravene in 1868, under the direction of Julius Carl Raschdorff, architect of the Berlin Cathedral. The castle was used as the Ravene family's summer residence for almost 100 years. 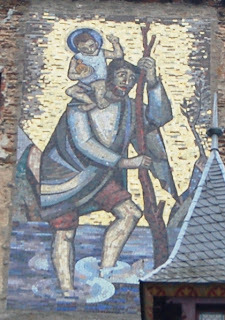 Salviati decorated the castle's tower with a 300 square foot mural of St. Christopher, who is carrying the Christ child on his shoulder. 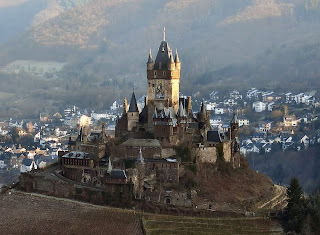 Today, the town of Cochem owns the castle and it is a popular tourist attraction. 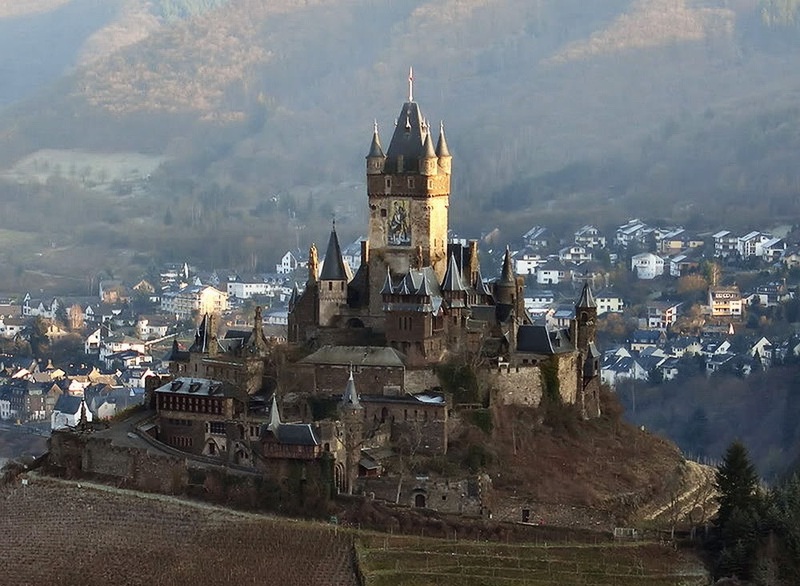 Update: Per Cochem Castle, the tower and the original mosaic were destroyed in World War II. A reproduction of the Salviati mosaic was installed in the 1960s.